Event-driven architectures (EDA) have become more popular by the day. Organizations see a great value in them, and developers love how EDA help to grow, scale, and mirror what really happens in the business domain. However, most developers are not familiar with this kind of architecture, which can lead to common pitfalls that we’ll examine in this webinar. We’ll also cover a broad set of buzzwords like: exactly-once delivery, Kafka Streams, CQRS, and Spring Cloud Stream. There will be live coding, which will require basic knowledge about distributed systems and Spring Cloud. As developers, one of our primary goals is to develop stable, secure, and bug-free software that will not deprive us of sleep or keep us away from new and exciting topics. To accomplish these and other goals, we write unit and integration tests that alert us to unexpected behavior and ensure the patterns we test don’t lead to errors. However, today’s architectures contain many components that can’t be fully covered with unit and integration tests. Thus, servers and components we’re not aware of still manage to drag our entire system into the abyss. This issue led to the birth of the Chaos Monkey for Spring Boot. The inspiration was Netflix’s Chaos Monkey and the culture of Chaos Engineering. On an application level, we want the possibility to cause specific stress and error situations. This session will detail the possibilities and deployment scenarios of the Chaos Monkey for Spring Boot. You will also learn how well the ChaosToolkit works together with the Chaos Monkey for Spring Boot. RabbitMQ is the most popular open-source message broker. It’s a de facto standard for message-based architectures. And yet, despite the abundant documentation and usage, developers and operators can still get tripped up on configuration and usage patterns. Let’s face it: some of these best practices are hard to capture in docs. There’s a subtle difference between what RabbitMQ *can* do, and *how* you should use it in different scenarios. Now is your chance to hear from seasoned RabbitMQ whisperers, Jerry Kuch and Wayne Lund. Lack of asynchronous relational database drivers in Java has been a barrier to writing scalable, data-driven applications for many. R2DBC is seeking to change this with a new API designed from the ground up for reactive programming against relational databases—its intent ito support reactive data access built on natively asynchronous, non-blocking SQL database drivers. How does this change the game for data access in the cloud? Used in conjunction with RSocket and Proteus, it is now possible to write applications benefiting from reactive streaming end-to-end, from the browser all the way to the database. No more fiddling with paging APIs, polling for updates, or writing complex logic to merge data from multiple sources--reactive streams can handle this all for you! RSocket is an open-source, reactive networking protocol that is a collaborative development initiative of Netifi with Pivotal, Facebook, and others. Proteus is a freely available broker for RSocket that is designed to handle the challenges of communication between complex networks of services—both within the data center and over the internet—extending to mobile devices and browsers. Attend this webinar to learn how to use Pivotal Cloud Foundry with R2DBC and Proteus to build reactive microservices that return large amounts of data in a streaming fashion over RSocket. One of today’s biggest challenges is releasing products more frequently while reducing the negative impact on customers using the system. When not using immutable infrastructure—where all environments are exact copies of each other in the cloud—staging environments are often used to try and mirror production environments. But despite best efforts, discrepancies between environments are common, and can lead to deployment failures. During this webinar, we’ll discuss how to use Spring Cloud and Netflix Ribbon capabilities to create sub environments, enabling you to target specific users or groups within a variety of infrastructure environments. This approach lets you gradually deploy changes to the system while reducing the negative impact on customers in production. Spring Framework 5.0 and Spring Boot 2.0 contain groundbreaking technologies known as reactive streams, which enable applications to utilize computing resources efficiently. In this session, James Weaver will discuss the reactive capabilities of Spring, including WebFlux, WebClient, Project Reactor, and functional reactive programming. The session will be centered around a fun demonstration application that illustrates reactive operations in the context of manipulating playing cards. Are you interested in learning how to schedule batch jobs in container runtimes? Maybe you’re wondering how to apply continuous delivery in practice for data-intensive applications? Perhaps you’re looking for an orchestration tool for data pipelines? Questions like these are common, so rest assured that you’re not alone. In this webinar, we’ll cover the recent feature improvements in Spring Cloud Data Flow. More specifically, we’ll discuss data processing use cases and how they simplify the overall orchestration experience in cloud runtimes like Cloud Foundry and Kubernetes. Please join us and be part of the community discussion! Almost every major company uses or builds software containing open-source components today—96% of them, according to a report from Black Duck by Synopsis. The same report revealed that 78% of the apps that were audited had at least one vulnerability, including several that were reported nearly six years ago! Needless to say, not having solid open-source use policies and procedures in place for your developers poses a significant risk to any enterprise. Black Duck and Pivotal collaborated to deliver a secure and simple user experience for rapidly building and deploying applications so that developers can benefit from the many advantages of using open source in their apps with confidence. Dave Meurer, Alliances Technical Manager at Black Duck by Synopsys, leads solution development, enablement, and evangelism for Synopsys Software Integrity Group. Kamala leads GTM with Pivotal Cloud Foundry Technology partners. She has been working at Pivotal since 2013 and has previously held various product or engineering positions at VMware, Tibco, SAP, and Applied Biosystems. Join Vince Russo and Peter Blum from Pivotal as they show attendees a real-world example of straddling workloads across Pivotal Application Service (PAS) and Pivotal Container Service (PKS). In this practitioner-focused webinar, we'll tour through Spring and .NET versions of an app to receive the output generated by the Watson Voice Gateway (WVG). Then we'll walk through the PKS-managed Kubernetes cluster using IBM-provided pods for deploying the Watson Voice Gateway (WVG). The cluster will be deployed using the PKS CLI, then the pods will be created with the WVG configuration file. The Spring and .NET applications will be deployed on PAS. A third-party VoIP application will be used to call into the Voice Gateway to issue commands, which will be outputted to the Spring and .NET Application for "processing." Hear directly from our field and R&D experts! Pivotal and Google Cloud Platform (GCP) collaborate on a number of projects—including Pivotal Cloud Foundry Service Broker for GCP and Spring Boot starters—that make it easy to leverage GCP's managed services, whether you are starting a new project or migrating an existing on-premise project. In this talk, we'll examine different GCP-created tools that help you develop and run Java and Spring applications, such as Spring Cloud GCP. In addition, we'll look at the different runtime environments that you can deploy to, such as Google Kubernetes Engine, App Engine, and Pivotal Cloud Foundry with GCP Service Broker. Finally, we'll go over some of the platform services that help you monitor, troubleshoot, profile, and debug your Java production application. MongoDB 4.0, scheduled for release in Summer 2018, will add support for multi-document ACID transactions. Through snapshot isolation, transactions will provide a consistent view of data, and enforce all-or-nothing execution to maintain data integrity. Transactions in MongoDB will feel just like transactions developers are familiar with from relational databases, and will be easy to add to any application that needs them. The addition of multi-document transactions will make it easier than ever for developers to address a complete range of use cases with MongoDB, although for many, simply knowing that they are available will provide critical peace of mind. The latest MongoDB 3.6 server release already ships with the main building block for those, client sessions. 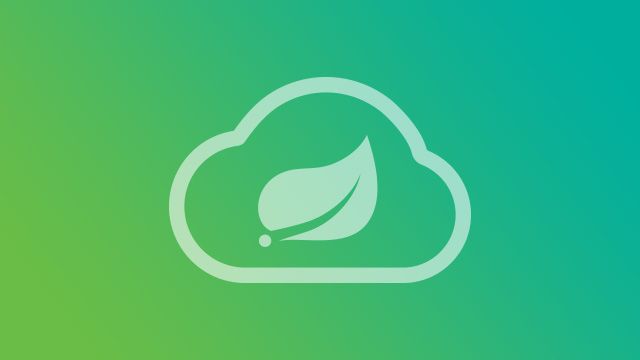 The Spring Data team has implemented synchronous and reactive transaction support in preparation for the MongoDB 4.0 release, built on top of MongoDB sessions. Learn more about Spring Data MongoDB, and many new capabilities in the forthcoming Spring Data Lovelace release! Spring's robust programming model is used by millions of Java developers worldwide. Drawing on more than a decade of experience with distributed Java, Spring today powers some of the most demanding, mission-critical Enterprise and consumer-scale web workloads. Also learn about open source projects like Concourse, RabbitMQ, Steeltoe, and Gemfire that form the foundation of modern software systems.